Description: I've been hoarding these papers by Ashley Goldberg that she designed for her Paint.Plan.Play class at Studio Calico and couldn't wait to use them. 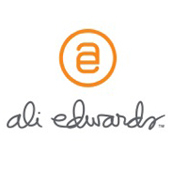 I'm excited to be on the Ali Edwards Digital Creative Team because other than the digital supplies we are supposed to feature, the other supplies are free reign! For American Crafts I can only use American Crafts supplies (sometimes I throw in sister brands: Pebbles, Crate Paper, Pink Paislee, Heidi Swapp, Bazzill Basics, Studio Calico, We R Memory Keepers, Imaginisce, am I missing any?? ), and for Studio Calico I can only use Studio Calico kits. Not that I feel limited AT ALL - I LOVE everything American Crafts makes and the kits by Studio Calico are the best :) But, I do have collections from other companies that I've purchased and now I'll have an excuse to use them! Like these papers! Journaling says: We absolutely loved going to Disneyland Paris - so fancy schmancy! Fox + Jane loved it too and always ask to go back. Hopefully! How to: Using Mister Huey's watercolors, paint swatches down the top of a white cardstock layout that match the patterned papers. Stamp patterns from the stamps by Ashley Goldberg for Paint.Plan.Play by Studio Calico over the dried watercoloring. Turn a few of the "JUST THANKFUL" digital brushes into cut files then die cut them from the patterned papers using a Silhouette CAMEO. Stitch the words over the watercoloring using white thread. Place skinny washi (by Ashley Goldberg for Paint.Plan.Play by Studio Calico) across the bottom and adhere three photos over it. Stamp dotted lines then write journaling with a black pen below the left photo. 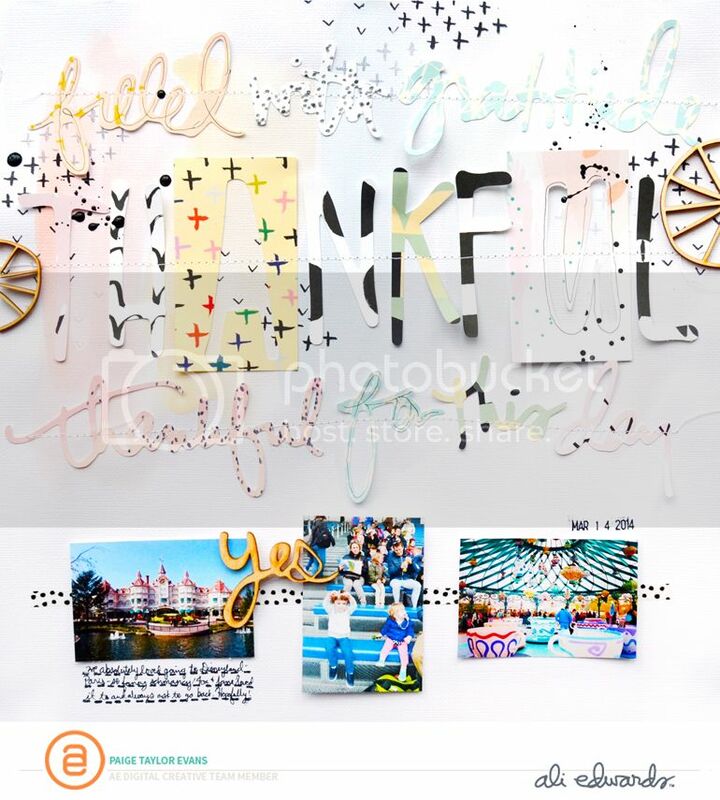 Add wood veneer pieces (by Ashley Goldberg for Paint.Plan.Play by Studio Calico) around the layout and stamp the date in black ink above the right photo. Loving this new challenge of using digital elements in physical ways! So gorgeous! I love love love this!!!!!! Love the mix of pattern papers from Ashley G's class! So wicked fun!